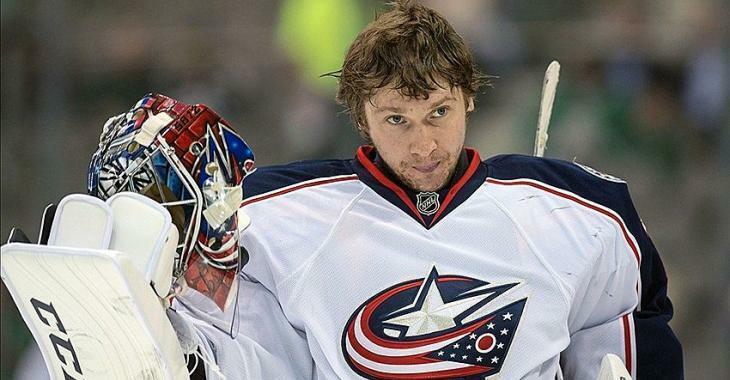 NHL News : Bobrovsky has given his list of teams he would agree to be traded to! Bobrovsky has given his list of teams he would agree to be traded to! An important meeting took place on Friday between Columbus Blue Jackets GM Jarmo Kekalainen and Sergei Bobrovsky, just a day after the star goalie was suspended by the team and not suit up for the game against the Nashville Predators that same night. Bobrovsky was reportedly angry after getting pulled by head coach John Tortorella in a game against the Tampa Bay Lightning and decided to hit the showers early, despite their being nearly 12 minutes left in the game. This angered the team’s coaching and management staff and led to the team imposed suspension. Bobrovsky is set to become an unrestricted free agent this summer, and the plan appeared to have the Jackets hold on to the star goalie for a long playoff push. However, the latest incident could have changed their decision drastically, especially if the Russian goalie plans on simply walking away for free this summer. "We've made a few calls and what we understand is that in fact, this past offseason, [Bobrovsky's] camp not only told the Blue Jackets that Bobrovsky would not sign an extension, but feel free to move him and here's a list of teams that we might waive our no-trade clause if you can work out a deal with them, and perhaps sign an extension, Bobrovsky that is, with that team." However, while Kekalainen refused to let media members know after the meeting with the netminder if he had asked to waive his clause during that talk, it seems that the GM has yet to phone any of the teams on that list. "I can tell you this: Jarmo Kekalainen, I believe, has never phoned any of those teams because they made the decision that they want to win with him this year. Let's have a playoff run and then we'll figure things out."